In this post, I have shared the recipes of basic Boondi recipe along with South Indian Kara boondi recipe and North Indian style namkeen boondi recipes with step by step photo and troubleshooting tips. 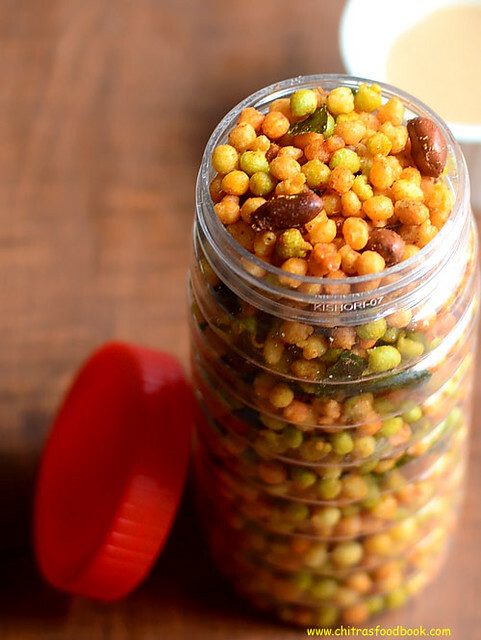 Kara boondi & oma podi are Raksha’s most favorite snacks recipes. So we used to buy them from snacks shops very often. Recently we bought a pack of colorful kara boondi from Lakshmi Sweets. 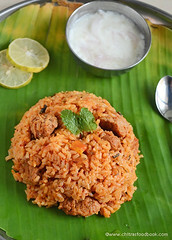 We call this as muttai kara boondhi in Tamil as it looks round in shape. For every Diwali, I used to make oma podi. But the colorful and spicy boondi tempted me to give a try. So I prepared Kara boondi recipe at home for the first time. I have tried it thrice since yesterday. First I made boondi adding besan flour, rice flour and cooking soda just like my bajji recipe. It came out crispy, crunchy but it was oily too. So this morning, I again tried it by watching Nisha Madhulika & Vahchef’s basic boondi recipe video. The recipe was so simple with just 2 ingredients. When I tried it ,I was extremely happy with the results. It was so crunchy and not oily at all. 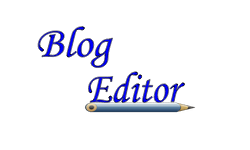 I was very happy that I learnt how to make perfect boondi recipe without tails or flat boondi. 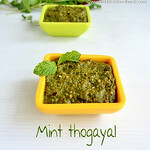 This is an all rounder recipe. By following this recipe, you can make sweet boondi, boondi ladoo, South Indian kara boondi/Spicy boondi mixture ( Tamil nadu style), North Indian style namkeen boondi, boondi raita & boondi chaat as well. 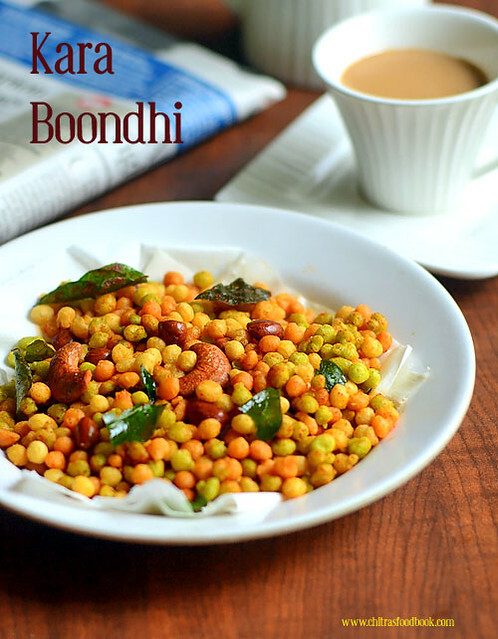 You can make so many yummy teatime boondi snacks. I too made it colorful like in shops. Raksha and Sendhil loved it a lot. 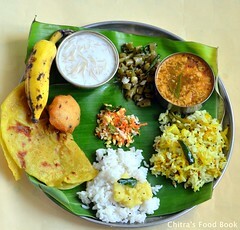 We enjoyed it with Sambar rice & munched it during our teatime. Now Lets see how to make boondi recipe at home along with the recipes of South Indian style Kara boondi and North Indian style Boondi namkeen with step by step pictures !! How to make Boondi at home and prepare kara boondi and boondi namkeen with it ! You need three ladles for making boondi. 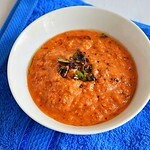 Refer the picture below.Take 1 cup of besan flour in a wide bowl. I did not use rice flour. 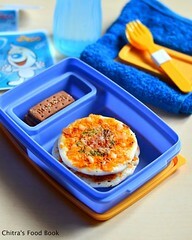 Mix with besan if you are using it. Add some water ( Say 1/4 cup) and make a thick paste. Use a whisk and make a lump free paste. Again add 1/4 cup of water and make a smooth batter. Add a pinch of salt and cooking oil. Mix well. Batter should be slightly thinner than bajji batter consistency. Add 1-2 tbsp extra if needed. Beat the batter vigorously with a whisk for 2-3 minutes. This step is more important to make the batter smooth.Set the batter aside for 5 minutes. If you want to make colorful boondi, divide the batter into 3 parts and add green food color to one, red food color to the other one. Let the third one be plain. Heat oil in a kadai to deep fry the boondi. Take a spoon and dip the back of spoon in the batter. Hold the back of spoon at 10 cms distance from the kadai. Batter will fall in the oil and If it rises to the top immediately, oil temperature is prefect. Now check whether the boondi looks flat, with tails or a perfect round. Based on that, you can adjust the consistency of batter. If the boondi is flat or with tails, batter is thick or oil temperature is low. So add little more water and try again. If boondi has tails, it may also be due the distance of spoon is less from oil. So hold it slightly high and try it. If the boondi is not hollow, add little more water. If the batter becomes very thin, add a tsp of gram flour, beat it well and again try it. Keep checking with the spoon until you get round boondi. Now take the batter and beat it really well. Take the slotted ladle and hold it above the oil. Distance should be around 10 cms from the kadai. Now pour half a ladle of batter to the slotted ladle.Let the batter fall as drops automatically. It shows the correct consistency. No need to spread it with another ladle or tap it. Remember to pour only the required batter for the oil you kept for deep frying. If you try to fry more boondi in less oil, it may clutter together in the middle. 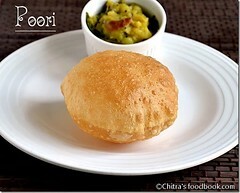 As soon as you pour the batter, boondi should fall immediately, rises up and moves to the corner of kadai. It shows the right consistency and perfect temperature of oil. Flip the boondi in oil and cook till the Sshh sound stops completely. Keep the flame medium while frying. If you remove it before cooking properly, boondi will become soggy and spoils the entire snack. So please be careful while frying. Before making the next batch, wipe the slotted ladle with a cloth or tissue paper and again pour a ladleful of batter.Beat the batter every time before you deep fry. Deep dry all the boondi and keep it in a tissue. Now take a handful of raw peanuts and deep fry in oil. When it is half fried, add the broken cashews. When the cashews starts to turn golden, add the curry leaves. Fry till crispy. Remove everything and keep in a tissue paper. 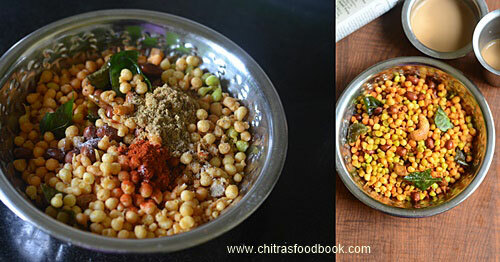 Mix all the 3 color boondi, fried nuts and curry leaves. 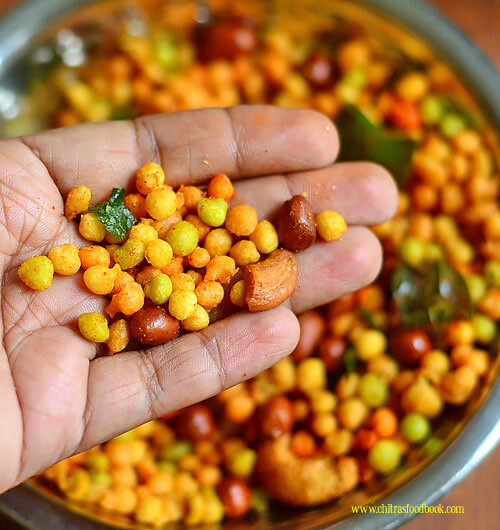 For South Indian Kara boondi, take half of the cooked boondi mixture, roasted nuts, curry leaves.Add red chilli powder, hing, salt and mix well with a ladle.Do not use your hands for mixing. For North Indian style boondi namkeen, take the remaining half of the cooked boondi, roasted nuts, add red chilli powder, dhania powder, cumin powder, amchoor powder, chat masala and sugar, salt. Mix well with a ladle and Set aside.Store in an air tight box after the mixture cools down completely.It stays crispy for weeks.. 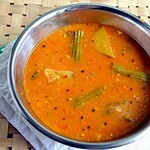 Enjoy with your tea/Coffee or with sambar rice, rasam rice ! 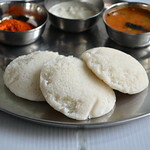 No need to use rice flour or cooking soda in this recipe. 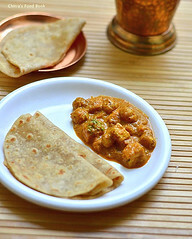 If you wish, you can add 1 tsp rice flour for 1 cup of besan. Adding oil is a must. The consistency of boondi batter and the distance of ladle you hold from the oil is more important to make perfect round boondi. Boondi making comes by practice and with some trial & error. You cannot make perfect roundels every time. Some tails may be here and there but you can make 90% perfect boondi even in your first attempt if you follow the steps carefully. Do not forget to beat the batter every time before frying. 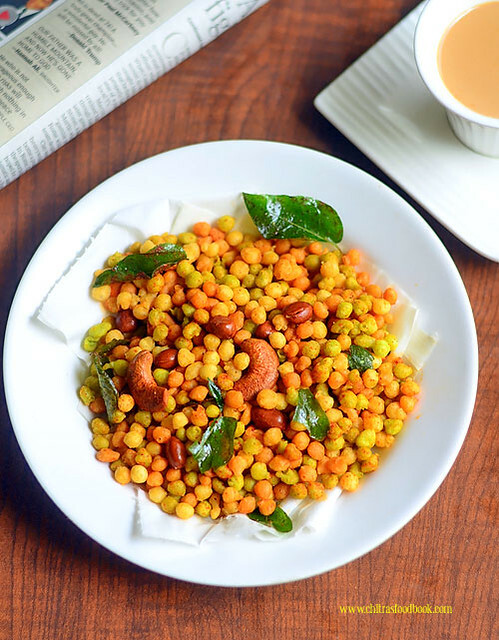 Enjoy this colorful, crunchy, spicy kara boondi with rice, tea/coffee ! Tastes yumm ! !